This entry is part 6 of 8 in the series Euro Summer 2013. 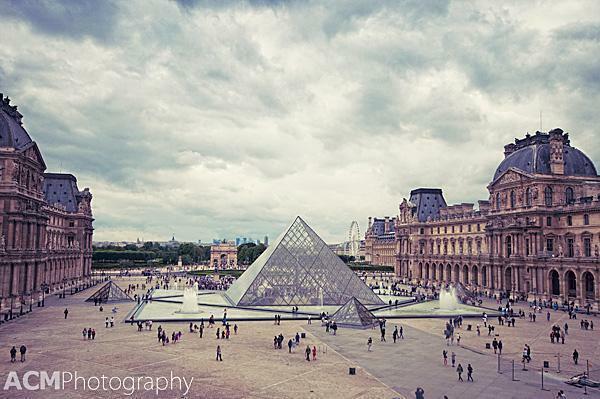 There’s no doubt, Paris is a beautiful city, filled with incredible photographic possibilities. I’ve taken photos on all of our trips to Paris. But it wasn’t until my last visit, that I actually had time to photograph the city and some of its landmarks in a way I felt captured the essence of Paris. 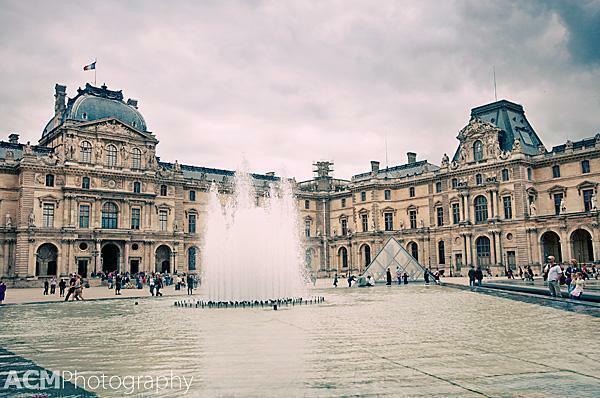 Below are some of our favourite photos of Paris, France. Soft, sultry Paris, just waiting to be explored. I don’t know what it is exactly, about this first photo, but it just screams Paris to me. It was taken from the Pont d’Arcole, looking towards Ile de la Cité. 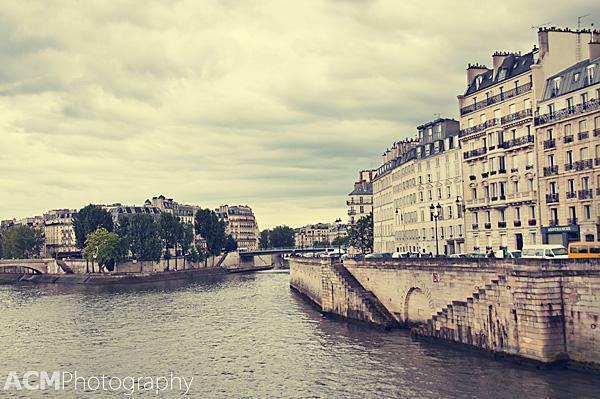 The architecture and the hint of the Seine tell the story of Paris, without the need of recognizable landmarks. While editing all of my photos of Paris, I found myself frequently de-saturating colours and warming up the images, even though there was plenty of sun and bright blue sky when we visited. Somehow the muted tones seemed more Parisian than brash, vivid hues. Romantic Paris, from my favourite free viewpoint of the city. 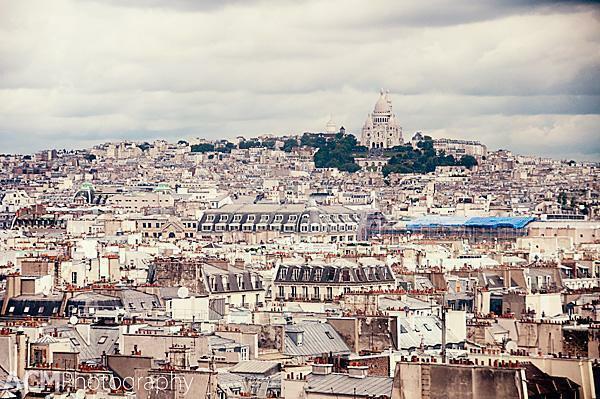 I love this photo not only for the beautiful view of the skyline and Sacré Coeur, but also for the ‘story behind the image.’ I took this photo from my favourite viewpoint in Paris, which also happens to be free. It’s at the top of the Pompidou centre, which you can access via the exterior escalators, without purchasing a ticket. While others are digging in their wallets to climb the Eiffel tower or Sacré Coeur, I can see both for no charge. There is a restaurant and bar on the roof, as well. You can drink in the view along with a great martini. 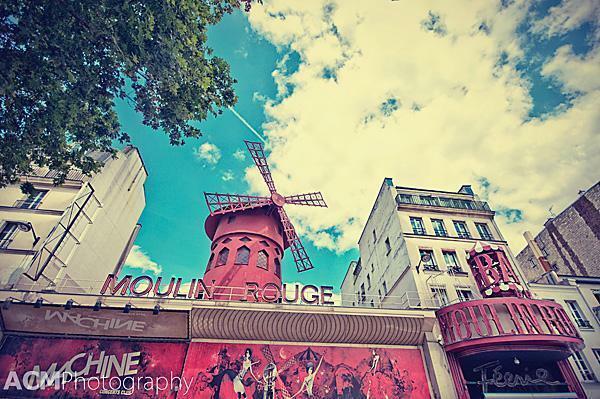 The iconic red windmill of the Moulin Rouge. There’s no landmark, more iconic of the heady days of 19th century Parisian decadence and debauchery than the Moulin Rouge. The red windmill conjures up images of tragic artists and flamboyant showgirls, especially since the release of the hit movie. It’s tough to capture in a photo and this one involved some acrobatics in the traffic median and a very wide angle lens. Capturing the solitude of a church crowded with tourists, isn’t easy. Notre Dame de Paris is an important stop on most tourist to-do lists. The church is stunning, but it can be difficult to appreciate when you’re surrounded by hundreds of other tourists. I wanted to show the quiet solemnity of the cathedral despite the crowds. These three photos were my favourites of many attempts. You can’t discuss Parisian icons, without mentioning the Louvre. 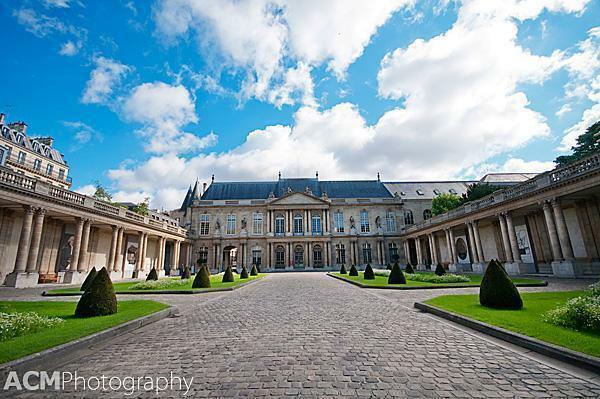 While it isn’t my favourite museum in Paris, it is certainly one of the most photogenic. I took the first photo, while bracing myself to fight my way through the crowds inside. The second photo was taken through a window inside one of the more quiet corridors. Finally there is Mona. I have seen this famous lady several times in the past. On this day, the room was so crowded; there was no way I was going to fight my way to the front. 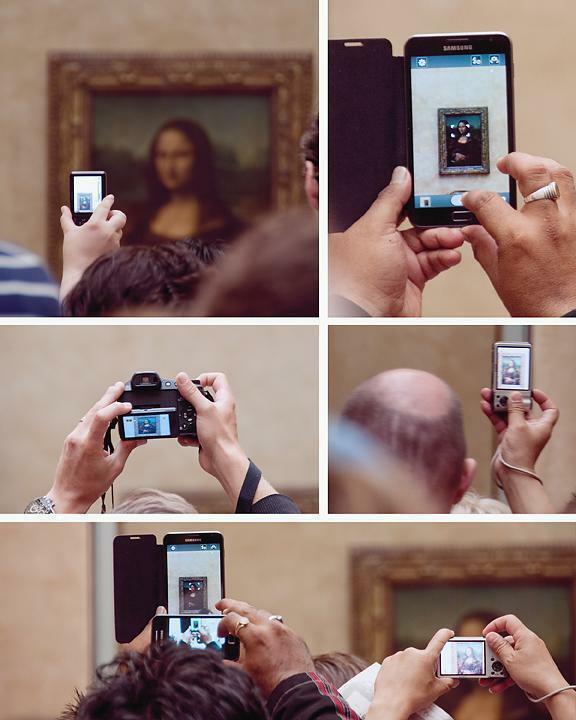 It fascinated me that everyone was trying to take a photo, to prove they had seen her in person. When in reality, you can probably appreciate her better from a book than behind Plexiglas, from five metres away. 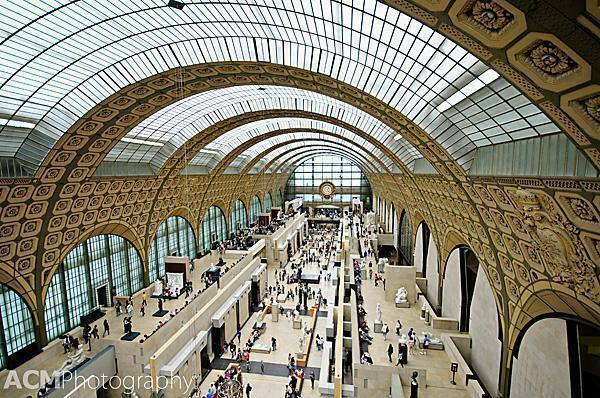 Even if the Musée d’Orsay didn’t contain some of my favourite works of art, I would probably still love it. The interior, a former train station, is stunning. It is bright and open and nearly always busy. There is no photography permitted in the museum, but there is a lookout tower on the top level where a quick photo is allowed. 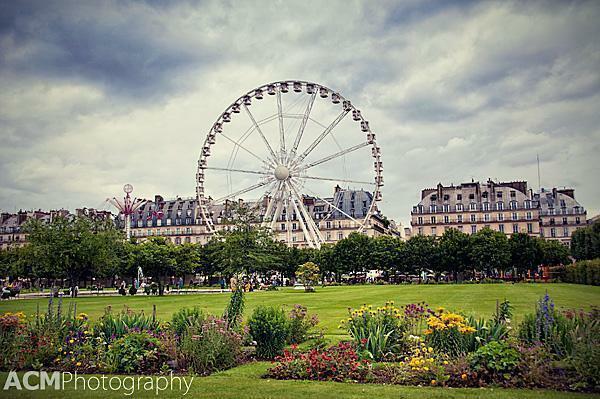 Paris has some beautiful green spaces and the Jardin des Tuileries is lovely in the summertime. When we visited in July, there was a large carnival set up on the Rue Rivoli side. Although you can only see the giant Ferris wheel in this photo, in combination with the brightly coloured flowers, it evokes summer festivities. 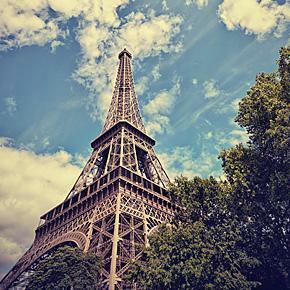 You certainly can’t leave the Eiffel Tower off a list of Paris icons. Recognized around the world, it is THE symbol of Paris. I probably have more than a hundred photos of the tower, taken over the years, but it still has the ability to capture the imagination. I’ve shown it here during the day and in its flashier night-time costume. I never would have known about the National Archive Museum, if it hadn’t been so close to our rental flat. Tucked behind an imposing stone wall, we discovered this beautiful building. It houses the Museum of French History operated by the Archives National. It’s not as well known as some of the cities other museums but that doesn’t make it any less important. The earliest documents inside date from the time of Charlemagne and the collection includes Marie-Antoinette’s farewell letter, a sketch of Joan of Arc and keys to the bastille. The Opéra National de Paris hadn’t been on my personal list of Parisian icons until my last trip. I was so glad my friend decided we should visit. It was hard to choose a favourite photo from a building where a new and beautiful scene revealed itself around every corner. 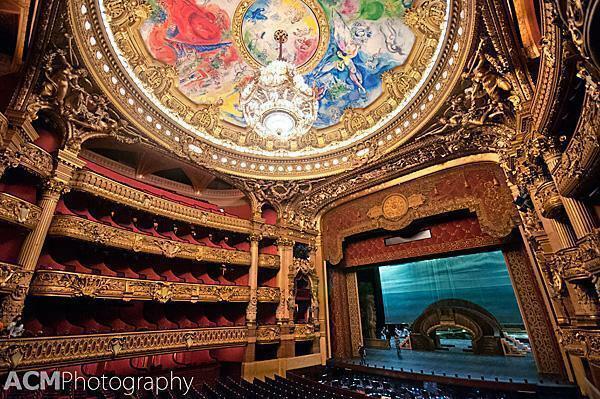 (See more photos from our visit to the Opéra National de Paris) I settled on this one, because it was the Marc Chagall ceiling that stole the show for me. Standing beneath it was a breathtaking experience. Despite my fear of visiting Paris in July, I was able to capture the city in photos in a way I never had before. I hope you enjoy our favourite photos of Paris as much as we do.